Museum as Retail Space (MaRS) is pleased to present Decorative Family Room Paintings, the first extensive solo exhibition of Drake LaBry in Los Angeles. Decorative Family Room Paintings presents an overview of his "phenomena paintings", utilizing bulk-purchased glitter, hand-cut aluminum, salvaged cardboard, and air-cured polyurethane, to compose sensuous geometric patterns with complex (in)organic textures. The work delimits itself, by a praxis of directly translating stimulation for the sake of stimulation, as pure ornamentation. DRAKE LABRY (b. 1985 Bayou Teche, Louisiana) lives and works in Los Angeles, CA. 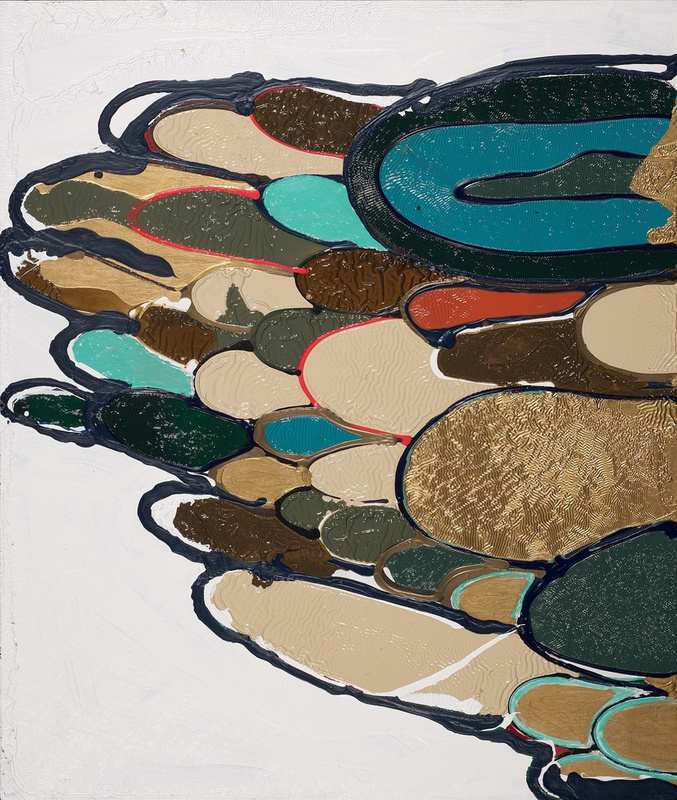 His studio practice focuses on large-scale painting produced intuitively, with an emphasis on chromatic relativity, typically integrating salvaged and base-consumer materials with formal oil and water-based techniques. Patterns drawn from nature as well as contemporary society figure abstractly into his work. HIs work has been displayed at the Marjorie Barrick Museum (Las Vegas, NV), Martine Chaisson Gallery (New Orleans, LA), and is in the permanent collection of the LSU Foundation (Baton Rouge, LA) and the Frederick R. Weisman Art Foundation (Los Angeles, CA).